The mineral magnesium is vital for our health—it’s linked to more than 700 important body functions, ranging from energy production and blood pressure regulation to heart health and muscle and nerve function. It’s also known as “the mood mineral” because it helps decrease feelings of stress, anxiety, and depression. Magnesium was recently listed in the Washington Post’s “10 Nutrients That Can Lift Your Spirits,” as it plays a large role in the development of serotonin; a hormone linked to feelings of happiness. It has also been called an antistress mineral as it can help prevent feelings of nervousness or irritability. PsychologyToday.com recently reviewed various studies of the mineral and labeled it the “original chill pill,” because of evidence supporting its health and calming benefits. This mood mineral can be found in dark green leafy veggies, legumes, peas, whole grains, nuts, milk, and yogurt. Despite magnesium’s widespread availability in food sources, medical research has shown that Americans consistently struggle withmagnesium deficiency, not getting the daily recommended amounts. Part of the reason is that modern soils have been depleted of this mineral. Another factor is that there is too much reliance on processed foods in American diets. However, some people may not be aware of their magnesium deficiency because the mineral works inside cells, not while coursing through the bloodstream. A deficiency often won’t show up in a blood test, so diagnosis is a challenge. Although difficult to discover, magnesium deficiencies are common: Up to 80 percent of Americans do not get enough magnesium. In addition to dietary shortages, deficiencies can also be caused by overactive stress hormones or too much calcium. 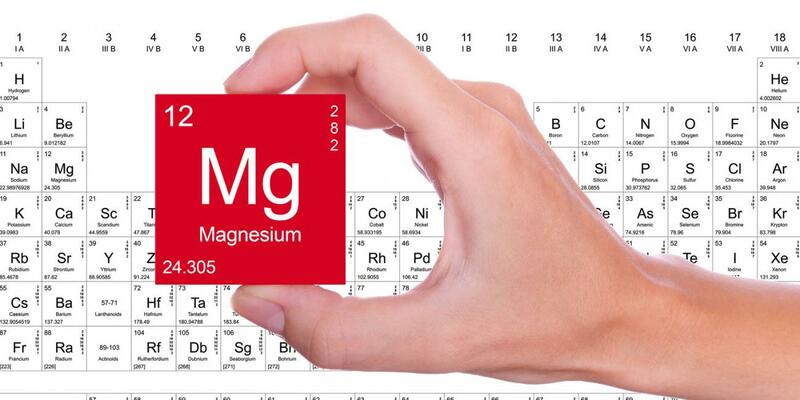 Low magnesium levels can lead to medical issues including cardiovascular disease, osteoporosis, high blood pressure, diabetes, muscle cramps, and immune system issues. People who are particularly at risk for low magnesium levels include the elderly, people who drink alcohol regularly, and those with gastrointestinal diseases. Taking a magnesium supplement is an easy way to get the recommended daily intake. However, most multivitamins contain less than 100 mg of magnesium, so taking a separate magnesium supplement is the best way to reach the Dietary Reference Intake of 300 to 400 mg.